Main battle tanks (MBTs) have always been in the heart of all military campaigns and have enabled armies to fight across the full spectrum of war. Countries need to consider the complex interactions between subsystems of MBTs in the decision phase of a design process or MBT acquisition. In order to define the interaction among the subsystems of ‘system of systems’, which is MBT system for this case, this article aims to provide an introduction to a broader research in determining the criteria and their sub criteria affecting MBT selection problem and to analyze the cause and effect relations among these criteria. 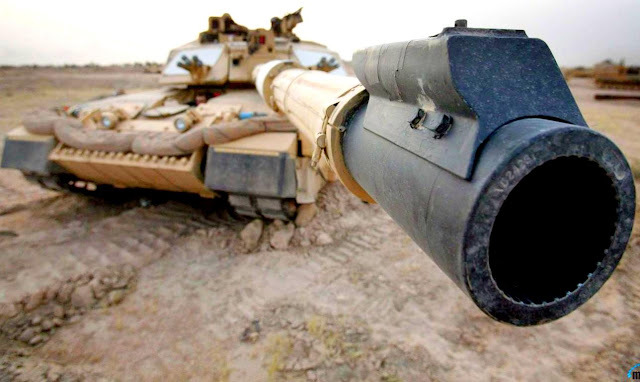 The capabilities of tanks are being questioned more than ever with the increasing use of long-range precision-guided weapons or potentially more effective weapon systems such as attack helicopters and new anti-tank weapons. There is also the wheel versus track dilemma which is always at the surface with the development of any new armored combat vehicle. In the book The Outlook for Tanks (IDR 2002) by Ogorkiewicz, the author indicated that the answer to ‘the need for tank’ question lies in the capabilities of tanks and the likely demand for such capabilities in the future. Major H.M. Anthony of Canadian Forces College, once discussed Leopard-2 MBT use by Canadian Army in Afghanistan, concludes that MBTs have enabled Canadian Army to fight across the complete spectrum of conflict in order to achieve operational level objectives. Supporting this conclusion, Ogorkiewicz also commented that MBTs remain as effective counter tank weapons and for that reason; close combat will require the continued use of MBTs. Furthermore, C.F. Foss argued through one of his article at Jane’s Defence Weekly that MBTs have proven their adaptability in evolving battlefield requirements, which results in the countries’ willingness of retaining MBTs as part of maneuverer capability. Thanks to the advances in technology, MBTs will remain as decisive as they have been in the future, because of their impressive capabilities such as cross-country mobility, heavy direct firepower and armour protection. A weapon systems selection problem has always taken academics attention since it is a strategic decision with likely significant impacts on the efficiency of the whole defence system. Weapon systems are getting more sophisticated and expensive as the military technologies rapidly develop, which accelerates research on methods for selection of these systems. Multiple criteria decision making (MCDM) methodologies can be used to address this problem. Due to the complex structures of MBTs, forming a ‘System of Systems’, the criteria affecting MBT selection should be investigated together with the MBT selection methods. Within this perspective, in this study, the literature is simultaneously reviewed in terms of both the methods for selecting MBTs and the criteria used in the selection process. Due to the complex criteria interactions in the MBT selection problem, DEMATEL, a multiple criteria decision making method, is applied on the main and the sub criteria separately to understand the interrelations. DEMATEL not only allows confirmation of the interdependence among the selection criteria but also considers the interrelationships. Contrary to the AHP method, which treats the criteria as independent of each other, DEMATEL method tackles with interdependent factors and determines the level of interdependence among them. The results show that Survivability main criterion has the strongest central role among the main criteria for MBT selection, while the followers are firepower, mobility and command and control (C2). In this study MBT selection problem is investigated DEMATEL methodology, in a three-phase framework as presented in Fig. 1. In the first phase, the decision goal is determined. The second phase of this framework includes determining the main criteria and sub criteria that affect the decision-making problem through literature review and expert opinion. Finally, DEMATEL method is used for analysis and evaluation of the criteria affecting MBT selection problem. It is also shown that, in terms of sub criteria for MBT selection, ballistic protection, a sub criterion of survivability main criterion, has the highest degree of influence over most of the other sub criteria. However, physical dimensions/silhouette, another sub criterion of survivability, is the most affected sub criteria. The top five sub criteria in terms of central role are determined as physical dimensions/ silhouette, ballistic protection, power/weight ratio, ground pressure and suspension system. 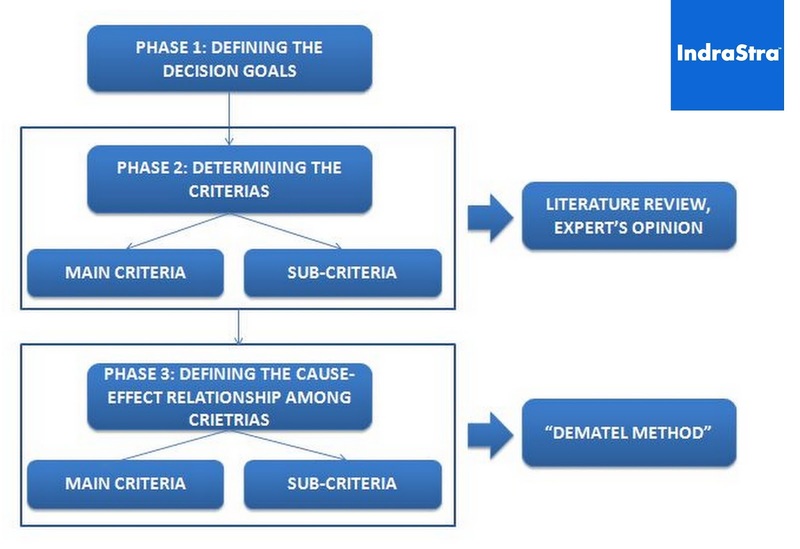 DEMATEL method is widely used in many areas including information security risk control assessment, analyzing the patent citation for prioritizing a portfolio of investment projects, evaluating intertwined effects in e-learning programs, choosing knowledge management strategies and analyzing the casual relations on technological innovation capability. DEMATEL method can also be used in fuzzy environment, which is called fuzzy DEMATEL and is based on the fuzzy set theory, proposed by Zadeh. In academic literature, there are many applications of fuzzy DEMATEL method, including prediction of technology commercialization of investment projects, human resource for science and technology, facility layout problem and risk assessment. The relationship among the main criteria of MBT selection problem can be summarized as survivability criterion having the strongest central role among the main criteria. Results show that survivability is followed by firepower, mobility and C2 criteria in terms of their roles. Considering the evolution of conventional battle into countering terrorism and operations other than war, the main risks towards MBTs are becoming IEDs and short-range antitank weapons such as rocket propelled grenades (RPGs). In connection and consistent with this evolution the survivability criterion ranks at the top of the other criteria fact is expected to yield some innovative technologies to be developed for lighter protection while putting the survivability on the top central role of the criteria. The importance of the survivability criterion may also be explained with the changing perception of the battlefield not only by the soldiers, but also by the public. Casualties in operations create great pressure over the governments, resulting in that the governments take some precautions to decrease the number of casualties. With close central role degrees, firepower and mobility criteria follow the survivability criterion. This result can be explained within the main purpose of MBTs in a battlefield: ‘carrying the firepower (main gun) into the battlefield with armour protection to close with and destroy the enemy’. Without using threshold value, among all main criteria there are cause and effect relationships both active and passive. This means that all main criteria are affecting one another and being affected by other criteria. This result is fully consistent with the holistic approach that underlines the importance of the interaction and the coherence among the criteria. Moreover, it is shown that since the results of the analysis are consistent with the theory of the battlefield, DEMATEL method is proved to be an effective method for this research which can be downloaded as a complete technical paper from the following LINK. Dr Yavuz Gazibey received MSc degrees in Industrial Engineering from Gazi University and Defence Technologies (Energy Technologies) from Istanbul Technical University in 2001 and 2002 respectively and PhD degree in Technology Management from Defence Sciences Institute at Turkish Military Academy in 2012. Currently serving as an officer in Turkish Armed Forces, his research interests include: Defense technologies, technology management, innovation management, systems engineering and configuration management, operations research and multi criteria/attribute decision making. He has contributed significantly in literature review, the application and results and discussions and conclusions sections. Dr Ozkan Kantemir received MSc degree in Electrical Engineering from Naval Postgraduate School in 2003 and PhD degree in Technology Management from Defence Sciences Institute at Turkish Military Academy in 2015. Currently working as an officer in Turkish Armed Forces, his research interests include: Technology management applications in defence applications with an emphasis on counterinsurgency operations and multi-criteria decision making technique applications in defence acquisitions. He contributed significantly in the application of the methodology and writing the related manuscript sections based on the literature review. Dr Akif Demirel received his MBA degree from Yeditepe University in 2000 and PhD degree in Defense Management from Defense Sciences Institute at Turkish Military Academy in 2012. Currently working as a consultant in STM Savunma Teknolojileri Mühendislik ve Ticaret AS, his research interests include defense management with an emphasis on industrialization of defense industry through defense acquisitions. He has contributed significantly in literature review, determining the criteria and discussion & conclusion sections based on the application results.